It is a high quality tempeh starter (in Indonesia it is called "ragi tempe") produced by AFI (Aneka Fermentasi Indonesia) in Indonesia. By using this 100 gram, you can make about 50 kg of homemade tempeh. Tempeh is a fermented soybean product that native to Central Java Province, Indonesia. Like tofu, tempeh is made from soybeans. But tempeh is made by using the whole soybeans, so it has the complete or even greater nutrients from the soybean. The nutrients contained are proteins, minerals, vitamin B, glucoses (energy), etc. Sometimes it is said that the amount of protein contained in soybeans is almost balanced with meat. Therefore, you can complete your daily nutrients intake by consuming tempeh. Is Tempeh Good for Your Health? Yes! Tempeh is known as a food full of nutrients. There are lots of study saying that tempeh contains lots of nutrients, so it is good for your health. Some studies also show that tempeh nutrients are more easily digested, absorbed, and utilized by the body compared to those in soybeans due to the fermentation process. One serving of tempeh (100 grams) provides around 200 calories, around 20 grams of protein, around 10 grams of carbohydrates, around 60 grams of water, and more other good substance for your body such as plant fiber, Vitamin B, antioxidant, etc. Tempeh is said to be one of the low-calorie food with a high-fiber, so it is also good to consume tempeh for diet. I once have some trouble with my stomach. But I am now better after eating tempeh. I was suffering from constipation problem before I tried to consume tempeh. I first heard about tempeh from TV program about fermented food. Soon after watching the TV program, I tried to eat tempeh I bought from a supermarket. Surprisingly, it was effective to cure my health problem. Therefore, I searched for tempeh starter and started to consume tempeh once a week. Once I tried to eat the fried tempeh, I become totally addicted to it. Peeling all the soybean's skins are tiring, but the completion was impressive. The tempeh block I made become clung to each other. I cut and fried it according to the instruction.. and it's very delicious!!! This is also match while drinking beer. I'm also happy that tempeh is good for my body. It was fun to make the homemade tempeh. The amount of soybeans I bought to make miso is more than I expected, so I decided to also make tempeh. This is my first time making tempeh, but it was as fun as making miso. I was able to make delicious tempeh. Because the instruction was so detailed, I was able to make delicious tempeh. Thank you. Put all the soybean into a bowl. Rinse the beans well without breaking the skin. The dirt on the skin contains a lot of bacteria that would make it difficult to make good tempeh. Let's rinse it well and remove all the dirt. Soak the soybeans with water about 4 times the soybean weight (for example, 2 liters of water if you're using 500 grams of soybeans). The dry soybeans will absorb water and weights about 2.2 times heavier and the volume becomes more than 2.6 times its original volume. When the water temperature reaches 20℃ or more, microorganism will grow in immersion water. To prevent the increase of microorganisms, let's put the white vinegar to the water. Put about 50 ml againts every 1 litre of water. So if you are using 2 litres of water, please put about 100 ml of white vinegar. If there is a thin skin from the soybean, there is a high possibility that the fermentation process will not work well. So let's peel all the soybean's skin. Rub the beans gently and peel off the skin. This process takes roughly about an hour. Put the peeled soybeans into a pot, add the desired water and vinegar (1 litre of water with 50 ml vinegar, or 2 litres of water with 100 ml vinegar). Boil the beans with low heat for about 30 minutes to 60 minutes. The perfect condition after boiling is the beans will still hard (difficult to crush) even if it is squeezed with your finger. This process is only to make the beans cooked, but not over cooked. Put the simmered soybeans into a drainer and let it cool down. Shake the drainer slowly to fasten the cooling process. Let the temperature until it reaches about 40℃. Let's drain all the water thoroughly. It will help the fermentation process works well. Add 1-10 grams of tempeh starter per 200 grams of cooked soybeans. Because it is difficult to mix the tempeh starter evenly to every beans, add some flour (can be chestnut powder, parched flour, rice flour) in advance to the tempeh starter. For example, if you put 1 gram of tempeh starter, please add 10 grams of flour into it. Mix the tempeh starter mixture. Put the cooled soybeans into a big plastic bag and add the tempeh starter mixture, shake the bag well so the tempeh starter will spread evenly. Tempeh starter will produce carbon dioxide at the fermentation process. So these air holes are necessary to let the carbon dioxide escape and take some oxygen in. Make the hole at in every 3 cm square. After finishing the holes, put the soybeans soaked with tempeh starter to the bag. Lightly press the bag to make it even. If you are using bag such as Ziplock, you can put the finished tempeh later at the refrigerator to preserve it. Let the soybeans soaked with tempeh starter fermented for about 20-24 hours or until there are many white mycelium covering the soybeans. The most suitable temperature for fermentation is about 32℃. It is useful to have a warm incubator such as fermentor device. Normally, the white mycelium will be visible in about 16 hours. The white mycelium will cover the surface of soybean and make a solid block shape. The tempeh will be complete with it is solidifies. After the fermentation process is finished, you can store the finished tempeh in refrigerator for another 48 hours. Refrigerator let to stop the fermentation process and prevent the tempeh to decay in certain time. If you continue to store it at room temperature, you must cook it maximumly in the next 24 hours. Is it okay to put too much of tempeh starter to the soybeans? There's no problem to put a little bit more tempeh starter. I left the tempeh at room temperature, and the color becomes darker (brown to blackish). Please be sure to save the finished tempeh in the refrigerator for leng term preservation (max 48 hours after the competion of fermentation process). The Rhizopus spp. in the tempeh starter will still alive even after the completion of the fermentation process. So if you leave it at room temperature, the fermentation process will continue and later it can change the color of the tempeh into brown to blackish color. You may still eat it if the tempeh doesn't have an odd smell or taste. However, after the continuation of the fermentation process, the taste will drops. An astringent taste also tends to come out. So let's not eat it when it has some strong odor which resembles the odor of strong ammonia or alcohol. Can I still make it without pulling off the soybean's skin? Hyphae are harder to grow in the unpeeled soybeans. If you make tempeh with unpeeled soybeans, the fermentation process won't go well. Producing tempeh that is fragile if you touch it even only with little force (the beans and skin are easy to tear apart). Therefore, it is not recommended to leave the beans unpeeled if you want to make a good tempeh. The tempeh smells like natto, it also has threads as we found in natto. Is it okay? 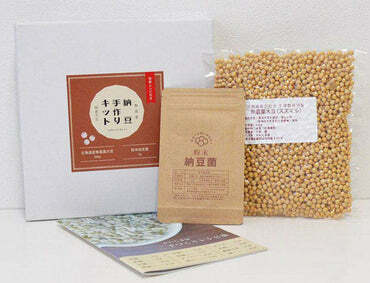 There is a possibility that there is contamination from the natto bacillus at the fermentation process. 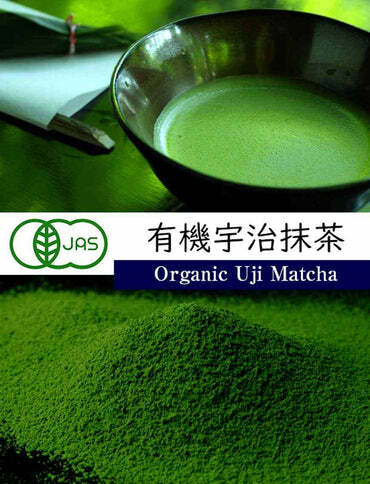 Natto bacillus is not only in the natto starter powder, but it can also be in our environments such as soil and the atmosphere where it is possible for natto bacillus to grow. We need to clean up the working environment and working tools, make them sterile before begin making tempeh. Please do not touch or eat natto in the middle of the tempeh making. You also need to wash your hands and make it clean during the tempeh making. These actions will prevent the contamination from the natto bacillus entering the tempeh. The tempeh is too soft. It could stick in teeth making it become a toothache. 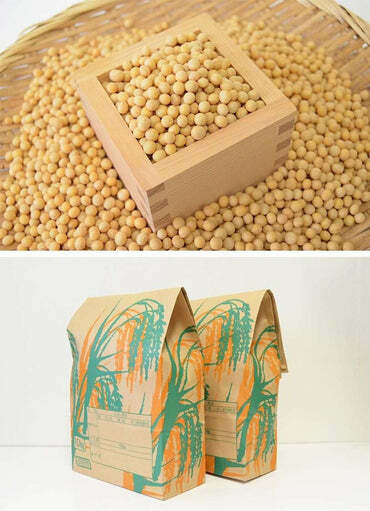 When boiling the beans, be sure to check the softness condition of soybeans with your fingers. If the tempeh is too soft, it can be because it is boiled too long. If you boil it too much, the peculiar texture of tempeh will disappear. The normal tempeh has a little bit firm texture from the soybeans. Let's make sure that you boil it in low heat for about 30-60 minutes. 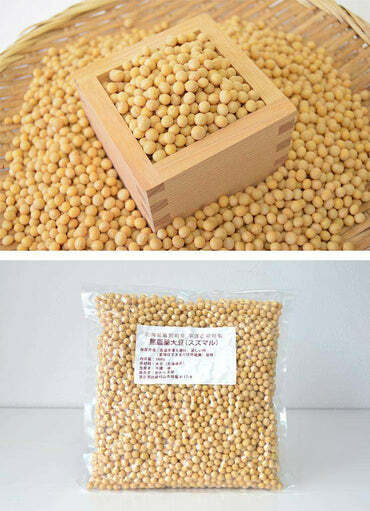 The ideal condition for the boiled soybeans are soft, but still not easy to break if you squeezed it with hands.